Absolutely Love Love this Brother Innovis V3. It is the most amazing embroidery machine. It does everything I want it to do and stitches out beautifully. Everything I have made has been a hit. I sew for my Grandson and Granddaughter. They’re not Old enough to know, but my daughter loves everything I have made. It is a big machine, and only Embroiders. I have a separation sewing machine and overlocker. 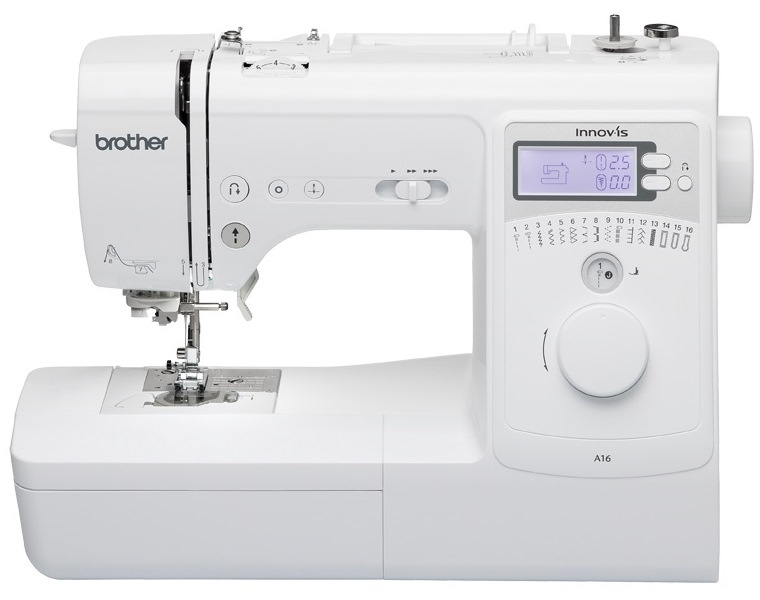 I didn’t want a combined embroidery/sewing machine but If you do go for the v5 upwards. Amazing Customer Service from GUR. Excellent delivery and some fabulous extras included which have been a godsend. I love the super strong stabiliser and have purchased a further 2 from GUR as they are the cheapest. A Big THANKS to GUR for their time and advice in purchasing this amazing fabulous machine. 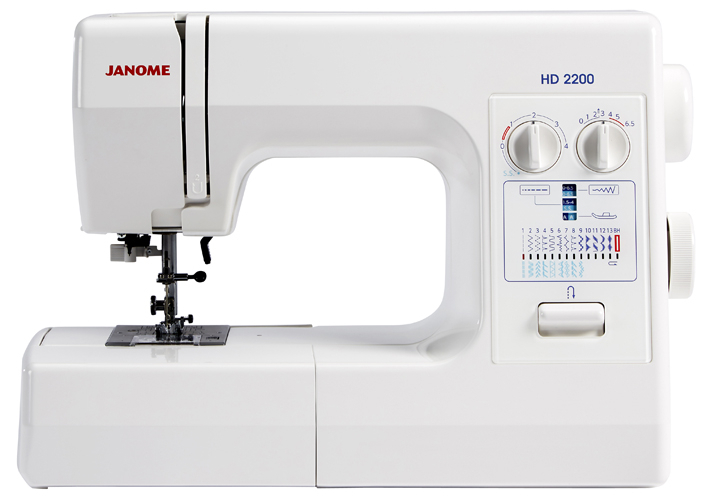 Janome 2030DC Computerised Sewing Machine. Includes FREE JQ2 Quilting Kit worth £119. 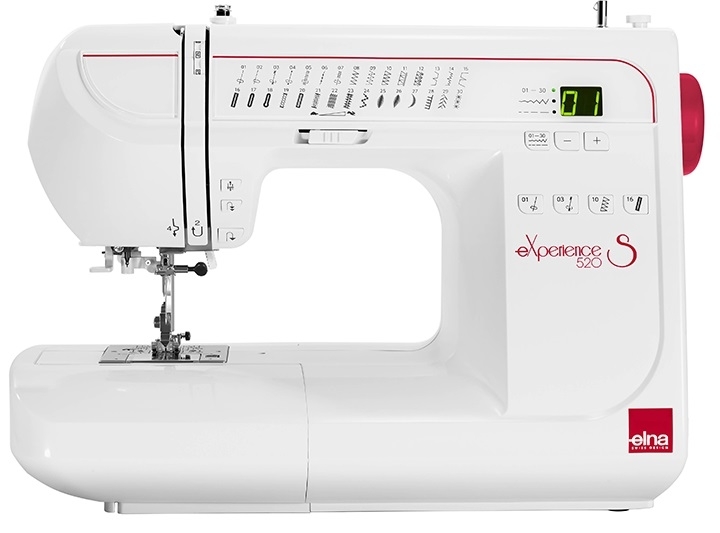 I love it, it’s so simple to use and it sews exquisitely. 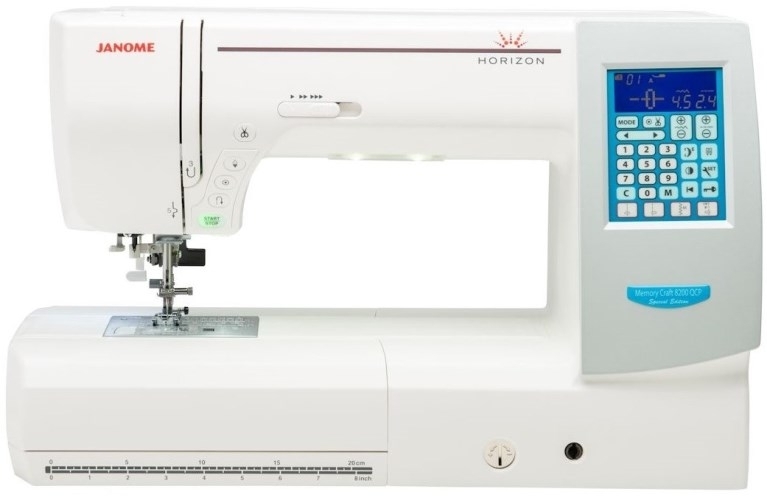 For the price, I’m surprised it has plenty of fancy features like the more expensive models such as the speed control, start/stop button and needle up/down. Also worth noting, the delivery was exceptionally quick and the advice I received from GUR was top notch. Prompt and Speedy delivery, with fantastic service. 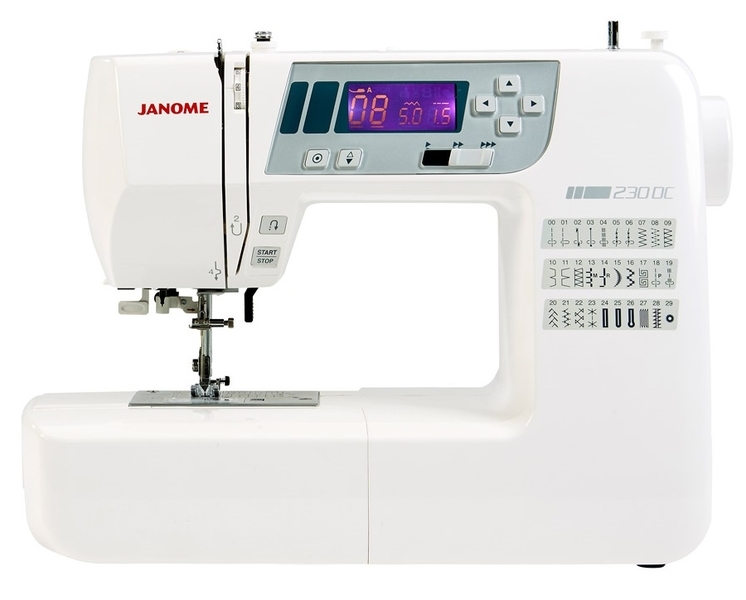 The Janome 219-S Machine sews great. It’s Smooth, quiet, & easy to use. I’d highly recommend this machine to anybody, especially if you are a beginner. Can't recommend both GUR and this particular machine enough. Steve went above and beyond to make sure I got the best machine for my needs, and this Jaguar is phenomenal. So easy to set up and use, and the quality is amazing! Looking forward to many years of happy sewing. Wow what a fantastic machine and superb service! GUR suggested this machine as a suitable sewing and embroidery machine. I haven’t looked back, since I can do basic sewing, embroidery and quilting all in one place. The stitches are beautiful and a lovely wide range of embroidery designs, I found the threading of the machine quite easy. Considering I’ve never done embroidery before, the instructions make it incredibly simple to get started and to learn new skills. The delivery was extremely fast (next day) and a well-rounded machine. Received my Jaguar DQS 405 very promptly a couple of weeks ago. Was pleased with the quality of the build, and the solidness of the case. Having had a couple of weeks now to try it out - the needle threader is fab - my eyesight not what it was. I have done some straight sewing on it and now learning how to use the embroidery stitches. My old machine is at least 30 years old so using a computerised machine rather different but so far so good. Overall very pleased with my purchase and service from GUR. Completely love this Brother Innovis M280D ! I decided to treat myself to a new machine, but was unsure, so I visited GUR store. Although my sewing talents are quite limited, I do enjoy sewing and making bits and pieces for the family. 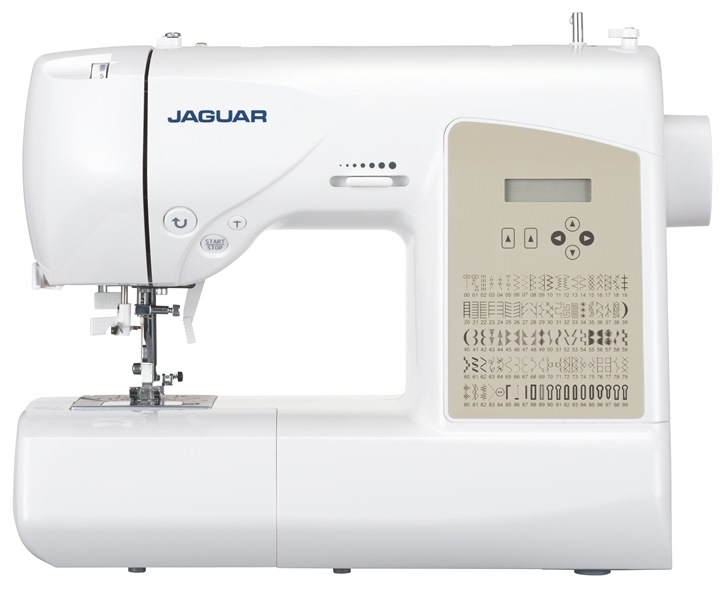 I wanted to upgrade to a machine that could quilt and with an embroidery function, but was put off by the price and difficulty of some machines. 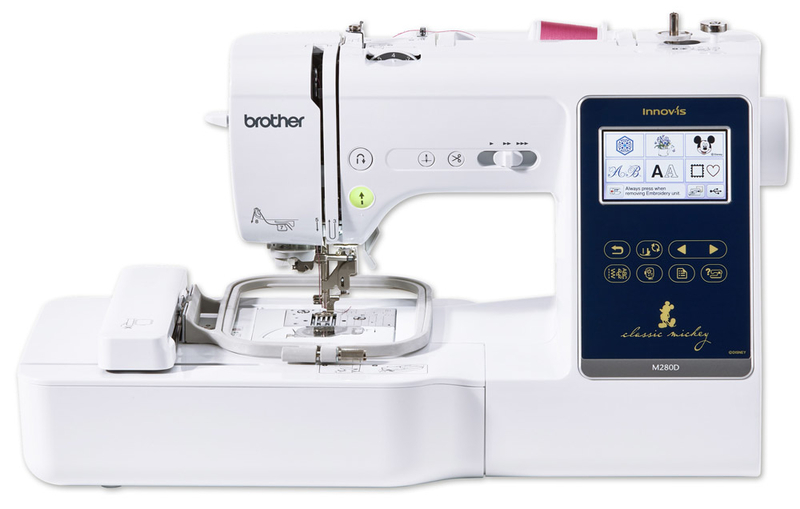 However, the Brother Innovis M280D does it all and more, sewing and embroidery, featuring Disney characters. Despite its wide range of functions and patterns, it is surprisingly straightforward to operate. Within a day or so, I felt completely at ease with it. A great all-in-one model! Topped off with a fantastic service and a great price! I rang GUR to advise me on the best machine for my other half. 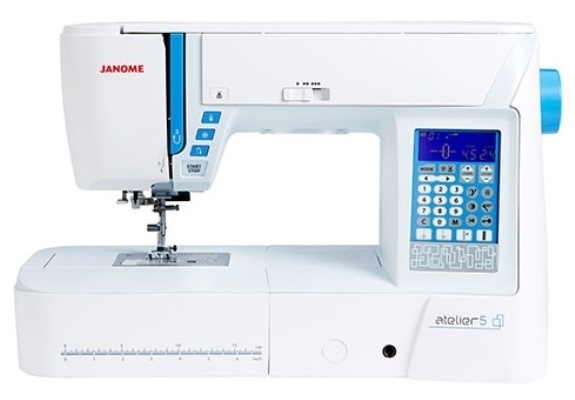 Eventually after some advice from the sales team, I decided to buy the Janome Atelier 5. She’s very delighted, as it has a wide range of features allowing her to sew everything when needed. A very good machine, much improved from her older machine. Many thanks for the fantastic service and quick delivery. 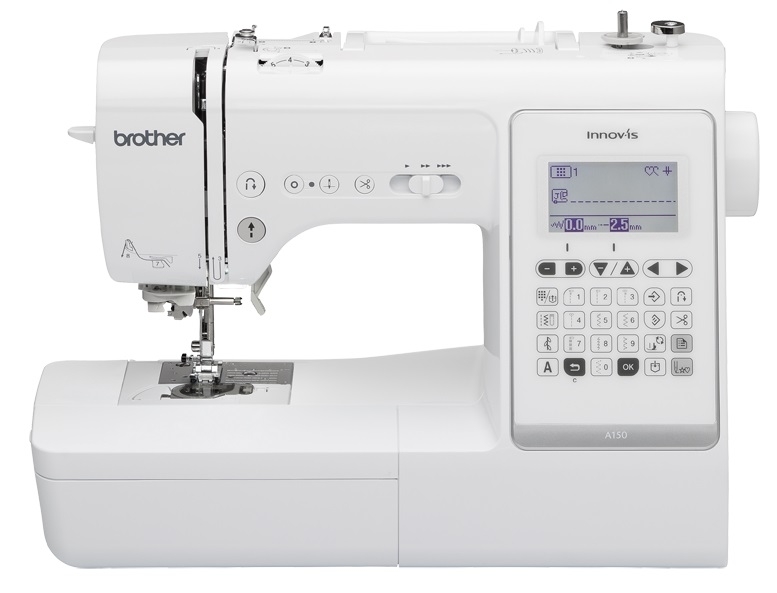 I thought it was time for me to upgrade my Brother Innovis 750e and decided on purchasing the Brother F440e Embroidery machine. I am really pleased with this machine. It has an excellent colour LCD screen as I can see clear all my designs from my USB. I found using this this model very easy as it is exactly the same as the 750e, apart from slight new features. This means I had no extra learning curve to go through. What is more beneficial, the hoops all are interchangeable between the F440e and 750e, so if you previously have the 750e, you won’t need to purchase new hoops. Fantastic machine and brilliant service! Highly recommended! 16th January 2019 | Scotland | S.
I've only just bought this machine and can't believe how good it is. 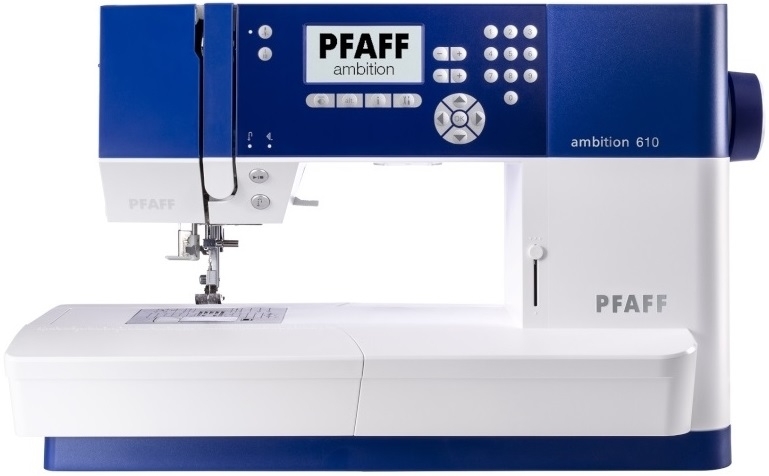 I've got a top of the range Pfaff but this out does that hands down. Not keen on the backwards button as I'm used to my other one just tying off at the start and end of a row but other than that all's good. For the money it seems to be a well built good quality machine. I bought this machine when my old one broke down soon after starting the massive task of making new loose covers for my lounge suite. The new machine is excellent, very smooth and easily able to deal with many layers of fabric effortlessly. The bobbin just drops in and threads easily and the whole operation is very quick. This machine would be ideal for a beginner. The price is amazing and mine was delivered in 48 hours. Excellent service, highly recommended. I bought this as a temporary and cheap solution to use when I'm away from home. To be honest I didn't expect much at all from the performance of this machine because it's so basic but on my first time using it I was so Impressed! The first thing i noticed was how quiet it was! 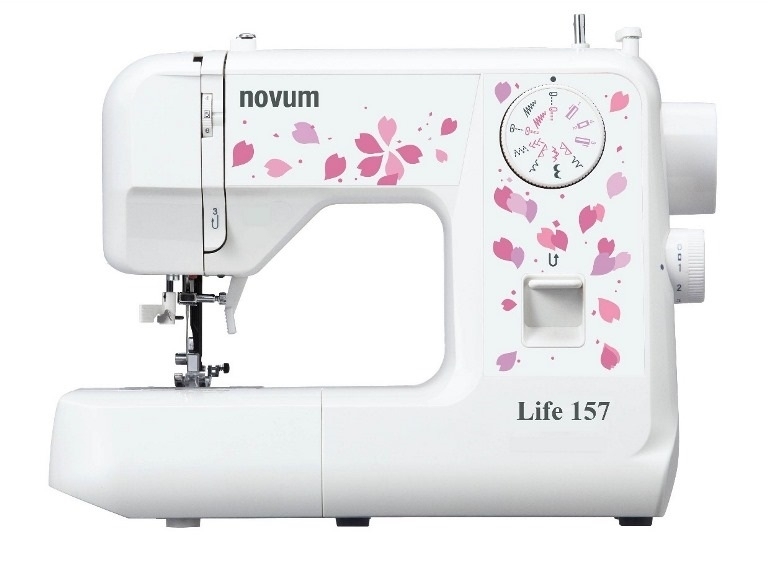 I know of many other machines on the market in this price range and also some higher end sewing machines that are not as quiet as this one. 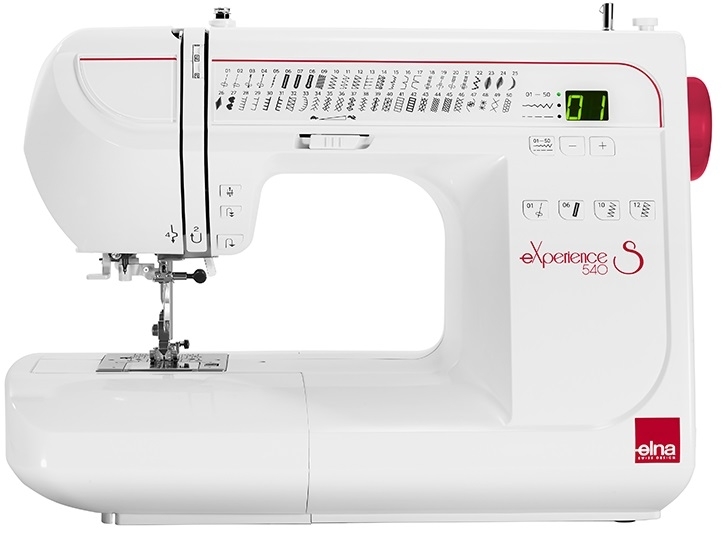 This is a quality built machine that is very sturdy and light to carry which would be fantastic for anybody taking sewing classes for example. The first thing i did was stitch out all the stitches available so I could assess the quality of each stitch pattern, not only were they reasonably good quality but the machine sewed so smoothly which I love! The reverse stitch button functioned very well, I'm mentioning this because that function on other brands of manual sewing machines I have owned in the past have been quite stiff to press. 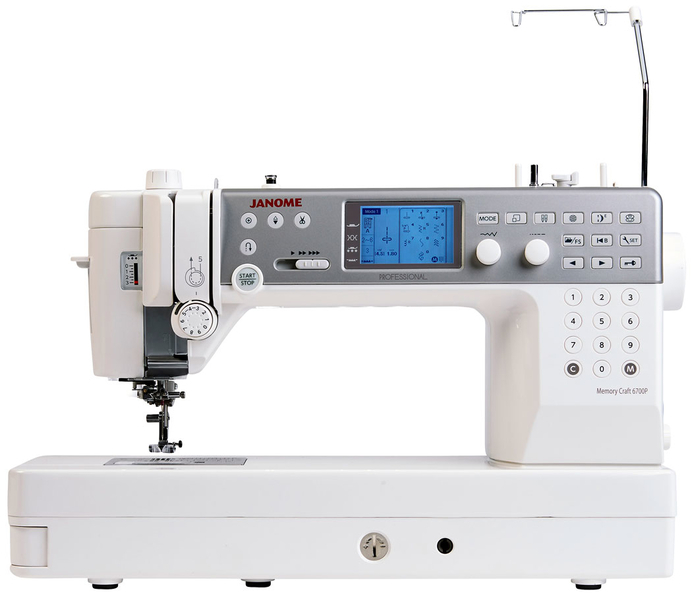 Also you can get great control of the foot pedal on this machine which is fantastic if your doing top stitching and you need to sew slowly for a perfectly accurate result which gives a very professional look to your project. Overall it's a wonderful sewing machine! 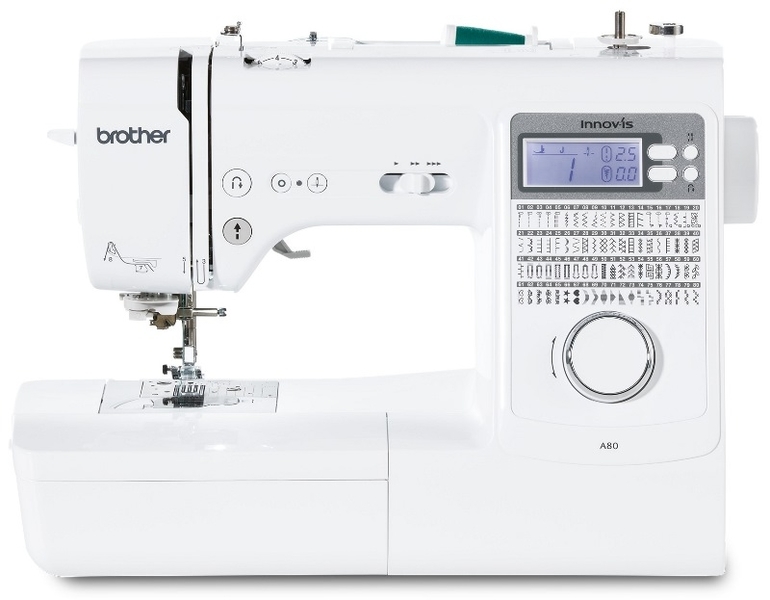 I would love to know what the higher end Brother manual or computerised sewing machines are like now that I have had the pleasure of trying this one! 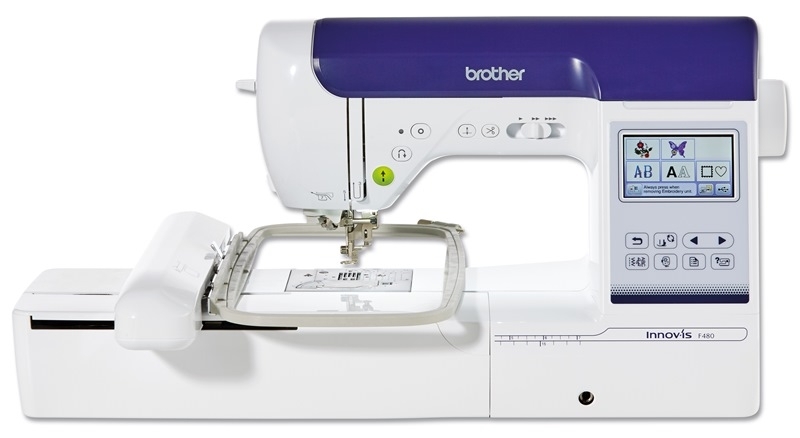 I'm so thankful that I have tried a Brother sewing machine because I think when I can upgrade I shall upgrade to another Brother machine! "Brother by your side"
I haven't used a sewing machine for years but having just moved, I wanted curtains, cushions etc that were exactly what I wanted rather than making do with ready-made 'good enough'. I have made all the soft furnishings for my home, reupholstered my son's caravan, made personalised bedding for the kids, repaired zips and lots of other jobs - I don't know how I managed for so many years without a machine! This particular machine has been so simple to use and far less complicated than older machines. Threading and bobbin instructions are printed on the actual machine making it almost fool proof. The only issue I had was when I used different thread for the top stitch and bobbin which really didn't work (serves me right for trying to take a shortcut!). Overall, highly recommended for beginners or straighforward sewing. This was such a bargain and is amazingly useful and has been used more than I expected in just a few weeks of owning it. As a first time machine owner this is very easy to use with a simple dial to choose the stitch type you want which is shown making it easy. Winding the bobbins is easy. 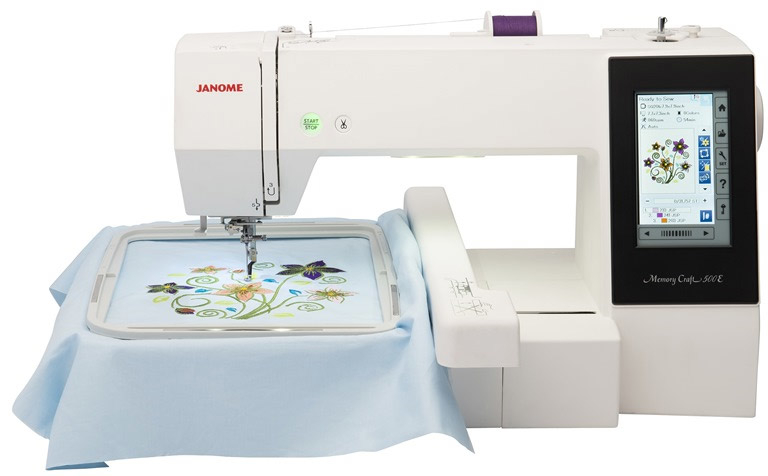 Janome Memory Craft 500E Embroidery Machine. Normally £1499, Save £200. This is a fantastic embroidery machine, with countless designs and plenty of fonts. I love how spacious the embroidery area is and how I can use the colour touch screen to edit my designs! Great instructions in manual and DVD provided, makes it so simple to use. 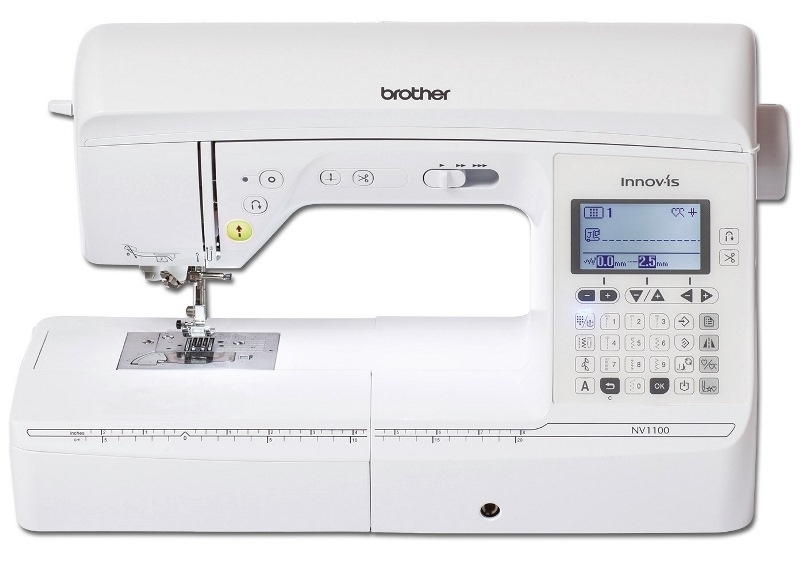 This Brother Innovis NV1100 is a fabulous machine. I quilted my first project, without any tears and tantrums. I would highly recommend this machine for both sewers and quilters. 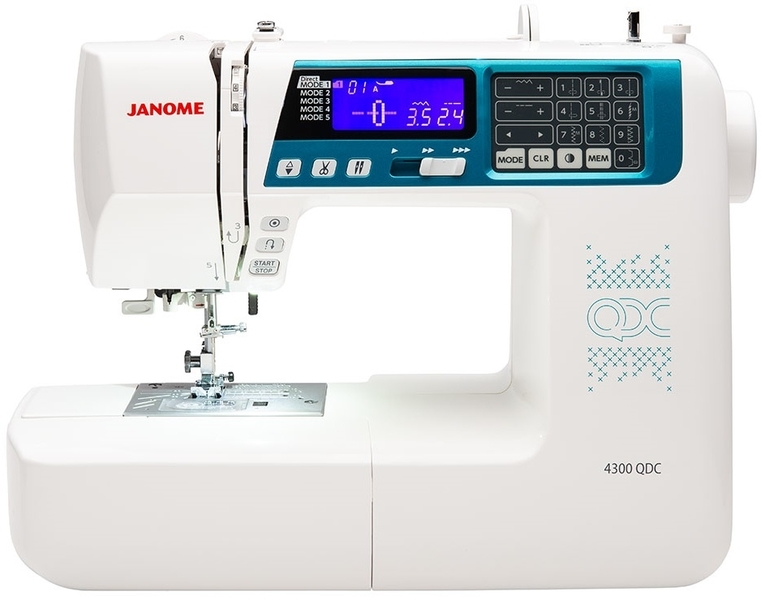 Janome 4300QDC Computerised Sewing Machine. Normally £599, Save £100. 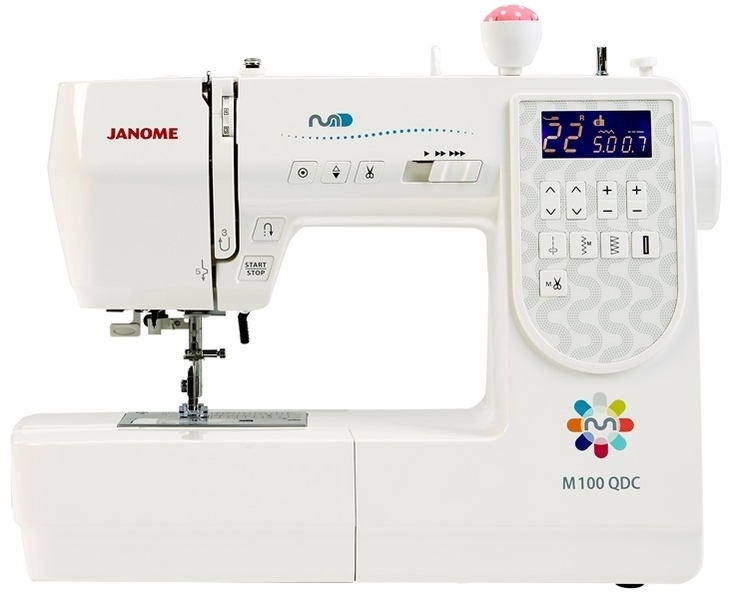 I bought this Janome 4300QDC machine at GUR’s showroom and therefore was an instant buy with little research done! However, I totally love it. This machine impressed me with the number of stitches provided for the £499 price. The machine is quieter than any I have used before (my old brother!) and manages with thick quilts and fabrics with ease. 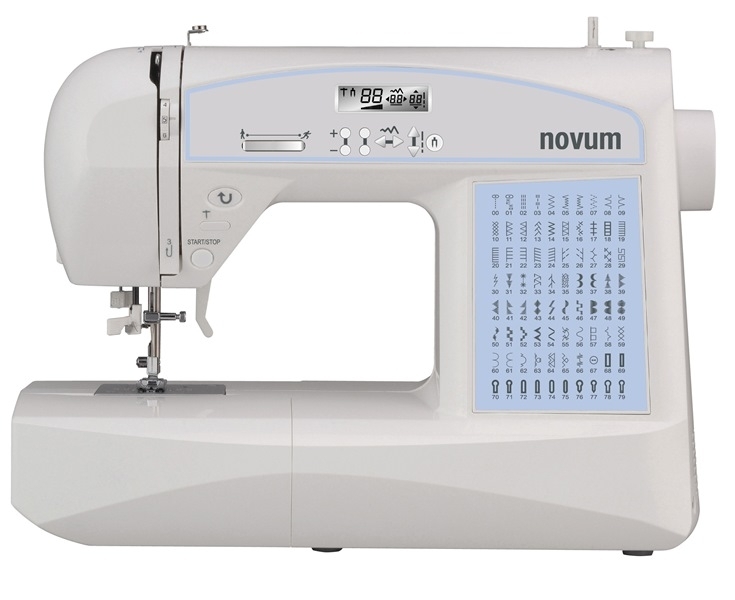 This machine is flexible; it can be used for simple sewing projects but is also accurate and robust enough to cope with larger and trickier designs. The machine has never given me any trouble so far and it’s so simple to use. I definitely won't be changing this for another machine! 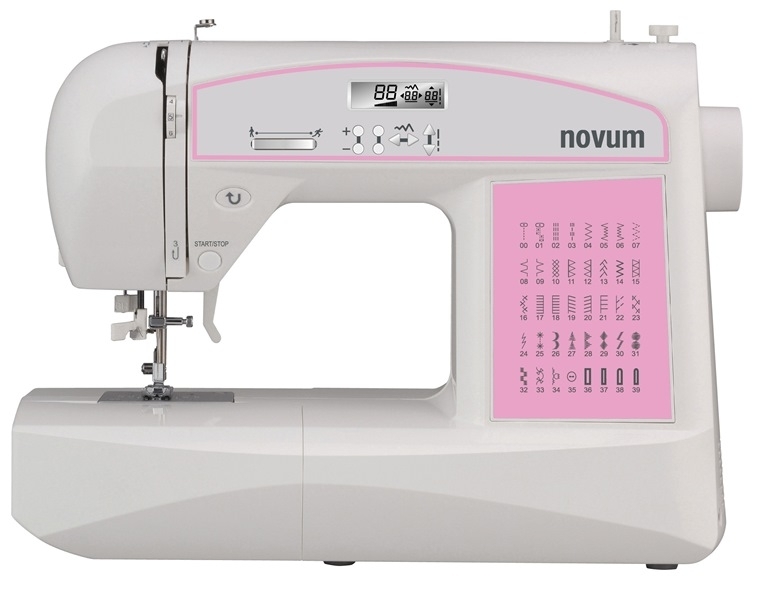 Novum Craft 590 Computerised Sewing Machine. Normally £249. Save £90. Includes FREE Quilting Kit Worth £99. Love my new jaguar 590. Easy to use and very quiet. Arrived quickly.Staff and delivery man were top class. I love pfaff machines, and this is no exception, smooth, quite, easy to use, a pure joy. 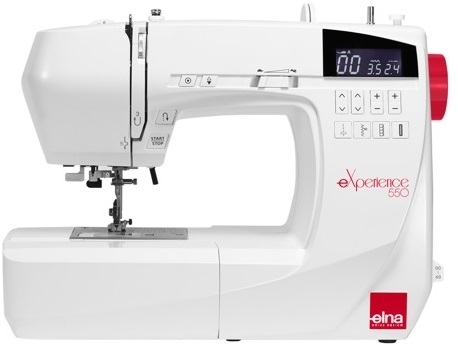 If you love sewing, then you'll love this machine. 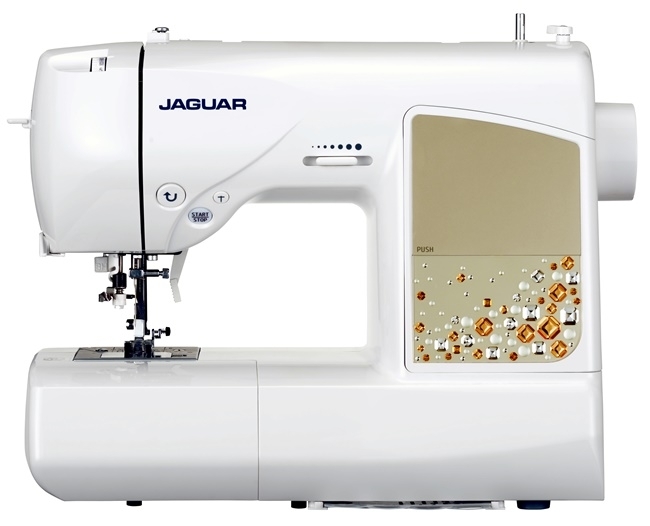 Great for general sewing, quilting, free motion, free motion embroidery, in fact any kind of sewing. Large sewing area, with good clear LED light to illuminate your sewing, with an amazing collection of stitches, which are so easy to select and adjust. It is a considered purchase I know, but worth every penny, you won't be disappointed. I bought my first item on-line from GUR in December, a great little item for beginners but I found I had very quickly out-grown it. However I decided to contact GUR and ask if they would be prepared to part ex this on another model. I had a short list of 4 items and rather than buy on-line, I decided that I really wanted to 'test-drive' to make sure that this time I bought the 'dream item'. We travelled from East Yorkshire to Birmingham were GUR are based. I have to say that Palma and his team made us very welcome and the item's that I had short-listed where waiting to be test driven! Wow! It was as good as being a child in a toy shop and there was a lot of 'toys' in that showroom! 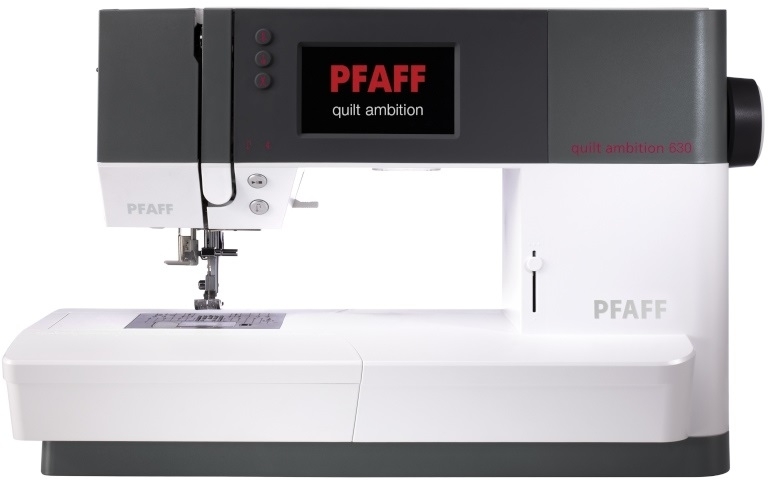 I eventually decided on a Pfaff Ambition 620 and the item is fantastic. Janome Memory Craft 8200QCP Special Edition Sewing Machine. Normally £1699, Save £300. I went to see GUR Sewing Machines at their shop in Birmingham so I could see the 8200, and they were lovely, I had a demonstration, I was shown all of the basics and more. I already have a Janome but have been looking for a new item for quite a while. As soon as I started using this item I had to have it, works so very good, the quality is fantastic, definitely worth the trip to Birmingham. Highly recommend. 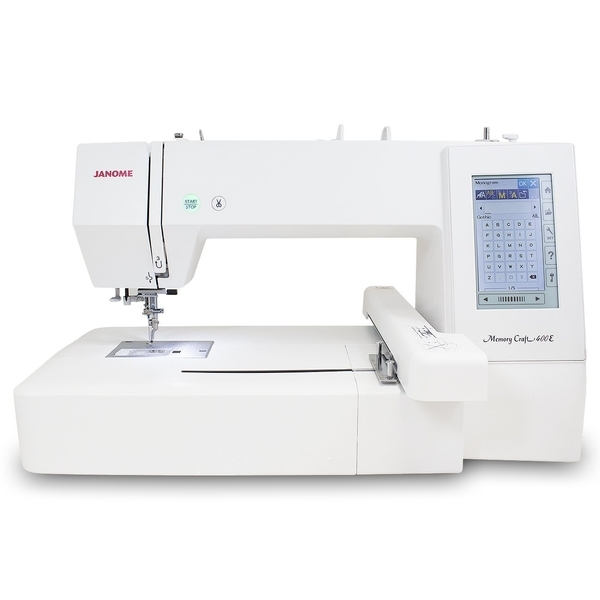 Janome Memory Craft 6700P Professional Sewing Machine. As a professional dressmaker I love this item, it is such a joy to use and very versatile even with fine or very heavy duty sewing (helicopter covers !) I like it so much that I am getting rid of my Bernina 1800. The sewing area is much bigger at 10” and the tension superior (to the Bernina ). Plus with LED Lights, a higher resolution LCD screen, plus the built in 20 Memory Banks, allows me to save my stitches so I can go back to them later. GUR have the best range of products and accessories I have found online. Having bought some very hard-to-find presser feet for my Pfaff coverlock from them, I then bought a new Pfaff Performance 5.2 at by far the best price I could find anywhere. A few of the accessories which should have come with it were missing, I called GUR and they ordered them from Pfaff without any hassle or quibbles and I had them within a week. Highly recommend, both the retailer and the item! 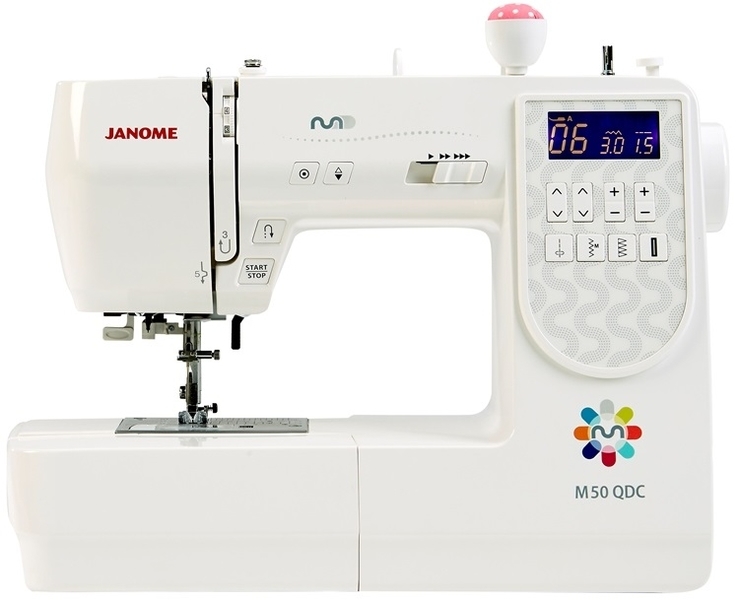 Possibilities are simply endless with the Janome M100 QDC! Not only it is fantastic for exploring and experimenting but also its ease of sewing quickly and professionally. One of the many things I love about this model is how well it has been thought out, its ideal for someone who is highly experienced, but also a learner who wants to extend their imagination, because of the personal touches and embroidery stitches the machine has to offer (i.e several types of alphabet and decorative stitches!). 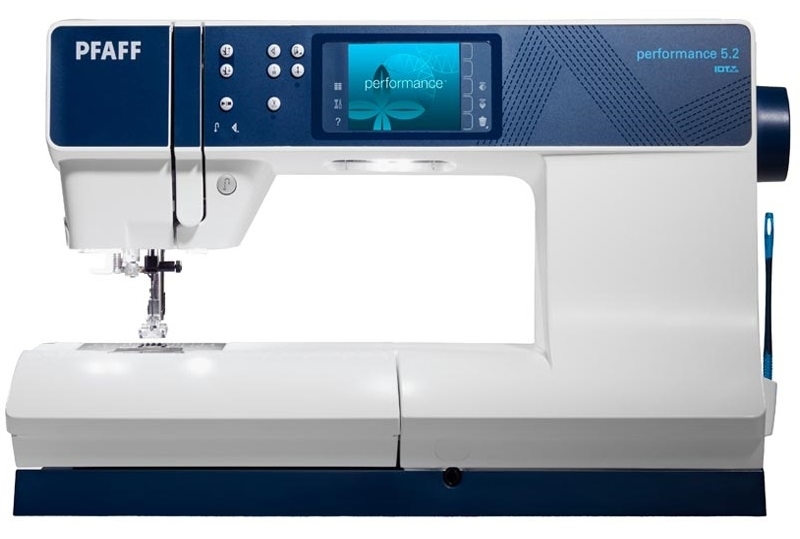 Being computerised, stitch quality is superb, thanks to the superior feed of fabric, whilst clever features make sewing a doddle: The start/stop button allows you to control your stitching with the touch of a button, so the foot pedal is no longer needed (but is included!). 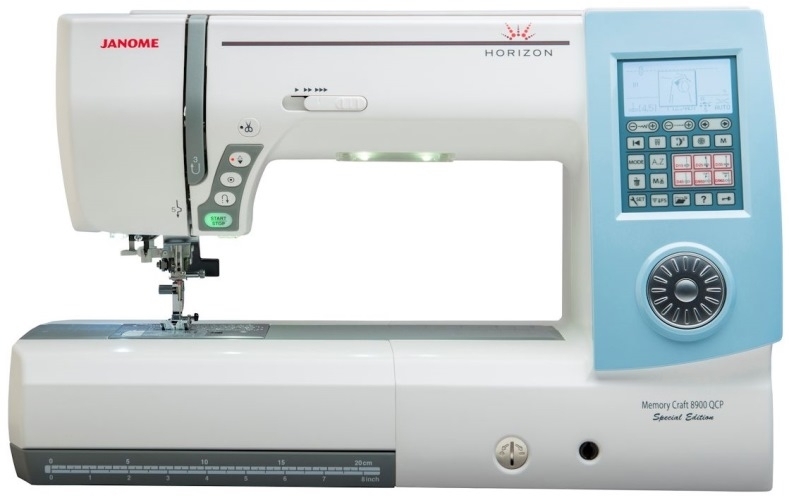 Other features include a lock in stitch button; to save you time going backwards and forwards to finish a stitch, speed control bar and an extension table to make sewing larger projects more comfortable! The LED screen conveniently details the correct foot for the programmed stitch, and other setting information to get the best possible results. Additionally storage is no longer a problem for machine parts, as everything fits nicely into its integrated compartments, and comes complete with a durable hard cover. The list of features is endless, but overall I guarantee you will not be disappointed by this superb model, its certainly my dream machine! This machine replaces a 24 year old one, so had a lot to live up to. It is incredibly straightforward to use. I unpacked it and started sewing. The stitches are neat and simple to select and it's easily controllable so my teenage daughter can use it. I mostly sew curtains and do repairs, which it is perfect for. I haven't tried anything more ambitious, however the bonus pack with extension table and extra feet, will allow me to do varied projects. Also the two speed foot pedal suggests applique should be possible. 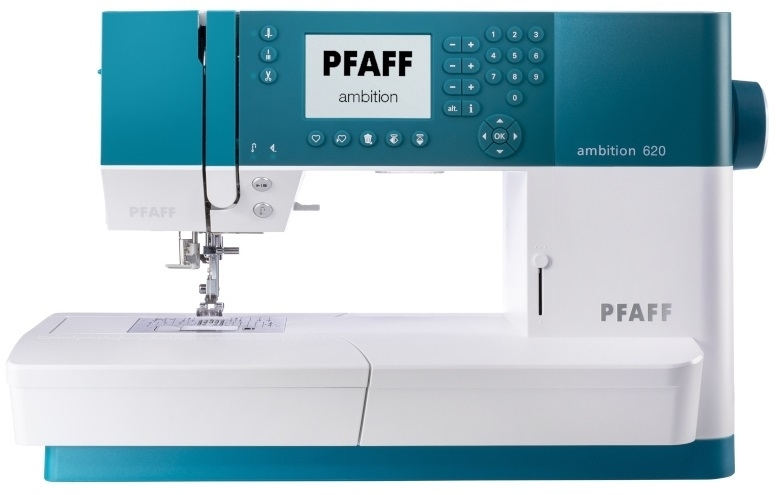 I bought a Pfaff ambition 610. Brilliant item, excellent service and extremely fast delivery. A free lesson was very infomative. All the staff are friendly, professional and well trained. Items ordered on line are delivered quickly. An excellent one stop sewing shop. The sewing machine arrived the day after we ordered it. After unpacking it it was so easy to set up and get started. The machine is robust and built to last and we are looking forward to many years of creating and modifying clothes etc. The motor is strong, so I can stitch leather, denim, strong fabrics and yet it is a dream on chiffon and georgettes. I use this professionally in my work on fashion photo shoots, it’s quiet yet tenacious. I’ve altered ballgowns, evening wear, jersey dresses, outerwear it’s got a small head so great for getting into books and crannies. It’s got a good selection of basic stitches, it’s perfect for me and I’ve bought a few different kind of feet for various fabrics ie leather and velvet. I love this machine so much that I’m going to buy another one. It’s strong, reliable, great value for money, not too noisy, an all-round fantastic little machine. 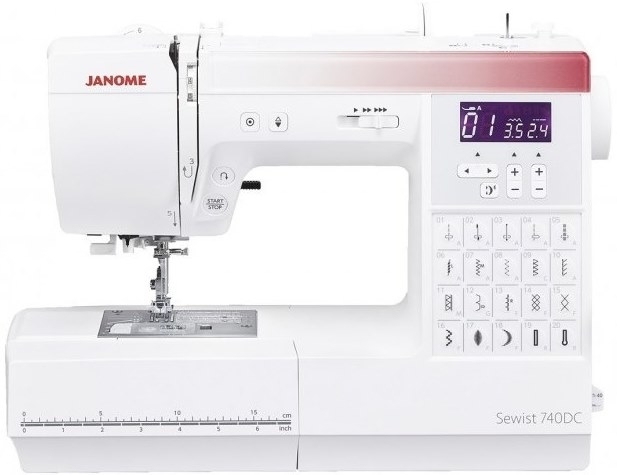 Janome 740DC Computerised Sewing Machine. Normally £499, Save £50. This is the best machine I've owned, it is so simple to use, works equally well with net, fleece material or leather and the automatic buttonhole stitch is amazing. I cannot praise this machine highly enough and it has helped renew my enthusiasm for sewing. Thank you Janome and GUR. 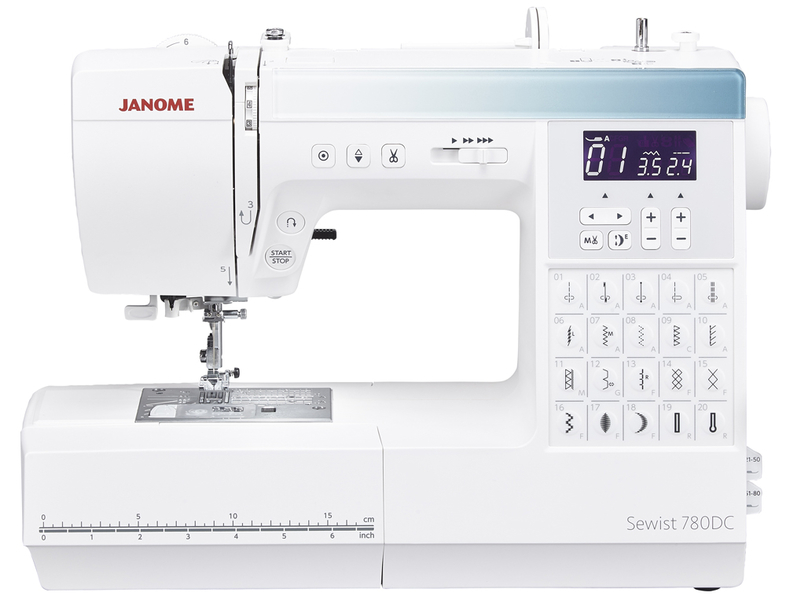 Janome 780DC Computerised Sewing Machine. Normally £559, Save £50. Well sewing machines have gone up in the world since my poorly machine that gave up after 40 years of service, and that was a good one in its day! Went to the store for a demo of different machines the gentleman was extremely helpful and helped me make my choice I was there for a good hour trying all different machines until I decided on this model. 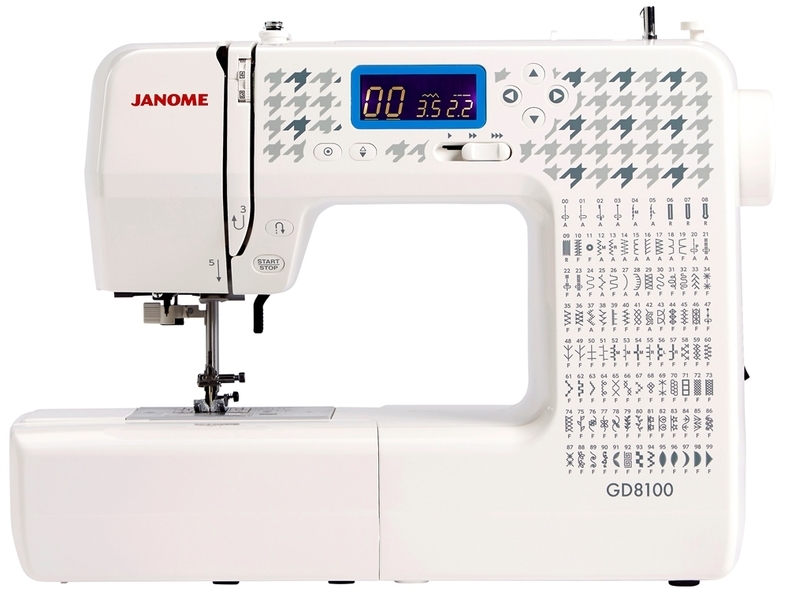 It is taking a lot of getting used to all the little extras that are included on this model Janome 780DC. But after lots of practice and errors I am sure I will get there. I eventually bought the 80 stitch model which is lovely. Good little extras on machine such as a needle threader, auto cut off button which cuts threads when finishing the stitching, no foot pedal necessary but can be used if prefer. Also comes with lots of included extra accessories. Threading the threads on machine is all very descriptive on the actual machine with arrows of where threads go. Overall pleased so far with my new machine time and practice will tell if it’s better than my old faithful one. I have been using a Bernina for nearly twenty years and wanted something that would do the bits it doesn't do like automatic buttonholes and a few fancy stitches. It wasn't until I tried this machine that I realised how smooth a sewing machine could be. No more juddering up the arms! I have only had it a few days however the stitch quality is very good, even and the preset tension is perfect for day to day sewing on an average weight fabric. Still to explore other things! Very, very simple to use, I would think that even for a complete beginner this machine would be a pleasure to use, the automatic threaded and cutter are a nice addition. 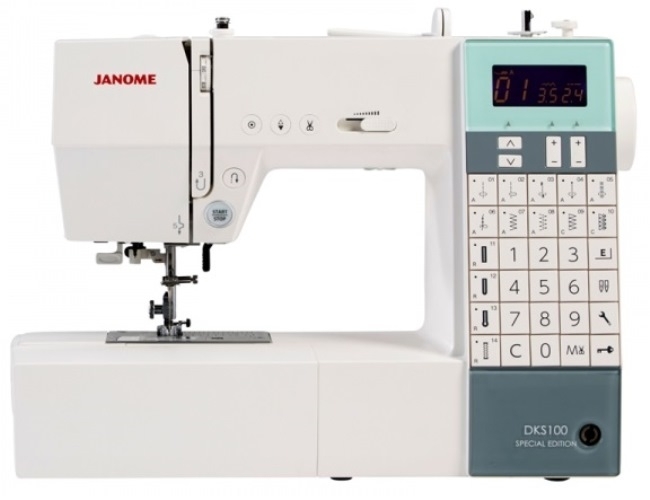 Janome DKS100 Special Edition Computerised Sewing Machine. Normally £529, Save £50. Includes FREE JQ6 Quilitng Kit worth £129. This machine takes all the effort out of sewing. The automatic buttonhole feature has to be seen to be believed, press one button and the whole thing is done for you to the exact size of your button. Amazing! Despite the incredible number of features it's not difficult to use at all. My only worry (as with all computerised machines) would be that if the electronics go wrong then the whole machine would be stuffed but hopefully there are years of good use before that is likely to happen. 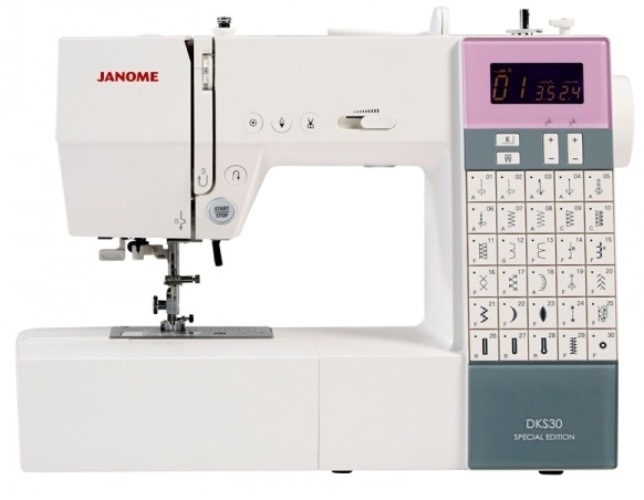 Janome DKS30 Special Edition Computerised Sewing Machine. Normally £479, Save £50. Includes FREE JQ6 Quilitng Kit worth £129. I am really pleased with thus machine. The machine is very heavy and is made mostly of metal parts as far as i can tell. The needle arm cover opens easily so i can clean inside the machine. I am exceptionally pleased with the speed i have found i can go full speed to slow instantly or vice versa without thread problems like my last machine. I also prefer the LED lights its much brighter than the standard bulb. This came with a hard cover which was great! Overall the machine runs really well without problems and has become my favourite machine so far! Very nice item. Haven't tried all the functions yet, though. Solid, easy to use, works fine so far. I especially like the automatic needle threader, button hole function and the top loading bobbin. I have been looking at this item for a while, and so I purchased it from GUR with next day delivery FANTASTIC! The sales team were great they asked what type of sewing I do, how much i'm planning on sewing, they said this item would be great, and it is. 50 stitches , the buttonholes are ace, and all of the features are just brilliant. Great service! 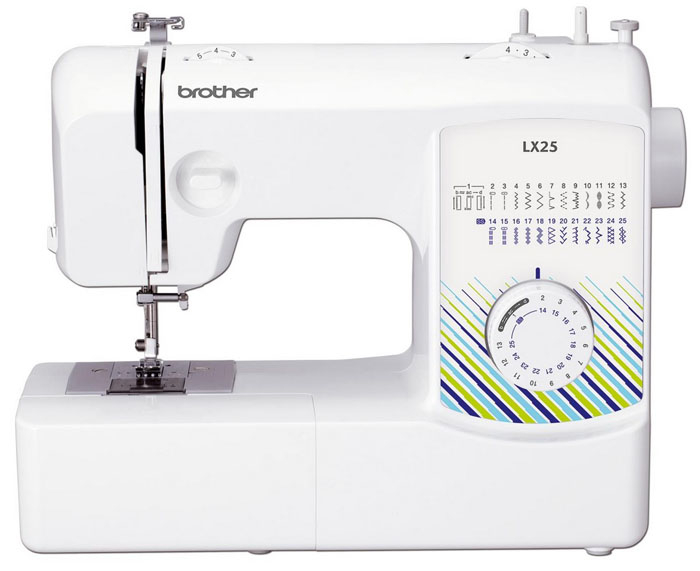 This is a great machine, as I already own three other Brother machines (one embroidery machine and three sewing machines counting this one) I have found that it is easy to use, good sturdy machine that will sew through a range of fabrics without any problem. I use this machine for my quilting classes as it is light enough to carry in my machine bag. Easy bobbin and top threading and with having other Brother machines they all operate the bobbin and top thread the same way so there is no problem of having to re-think how to thread which is a great benefit to the sewer. Excellent range of utility and decorative stitches as well as satin stitches and monogram lettering. The automatic setting of a lock stitch at the commencement of your project and the end is a great innovation. A good memory size to keep your favourite stitches as well as the ability of mixing and matching stitches. A good all round machine that has the backing of a three year warranty from Brother which is more than you get from other manufacturers. A very compact machine that will definitely handle any machinist whether beginner or advanced level. I would highly recommend this machine. I have only had this machine recently and it's doing fantastic. I am a beginner but have been able to get to grips with everything very quickly. Beautiful stitch options, great pedal speed control, able to move needle, needle threader works very well and threading is pain free overall. I have not tested the button function. I have so far found literally no issues with this machine and very pleased with the service I received and speedy delivery. This is a lovely machine and is lightweight which makes it easy to carry to class or around the home, with a good variety of stitches. It’s very simple to use and much easier than my large much more expensive machine. I would recommend this machine to novice and experienced sewer. If using for quilting you may wish to purchase a walking foot separately so consider that. Equally it does not come with a free motion foot. Both of these are available from main suppliers and on line. Tension, threading and bobbin winding all happen with ease. Very easy to use and produces superb quality results. Really happy with what the machine offers in terms of stitches, automatic button holes etc. I needed a new sewing machne after my old New home stopped working properly after 35 years of loyal service. 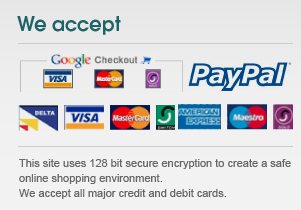 I fancied a computerised model to hopefully make life easier but was a little wary of them being too complicated and expensive. This model is excellent, after half an hour I was able to operate the machine without referring to the manual. GUR delivered the machine very quickly as well. 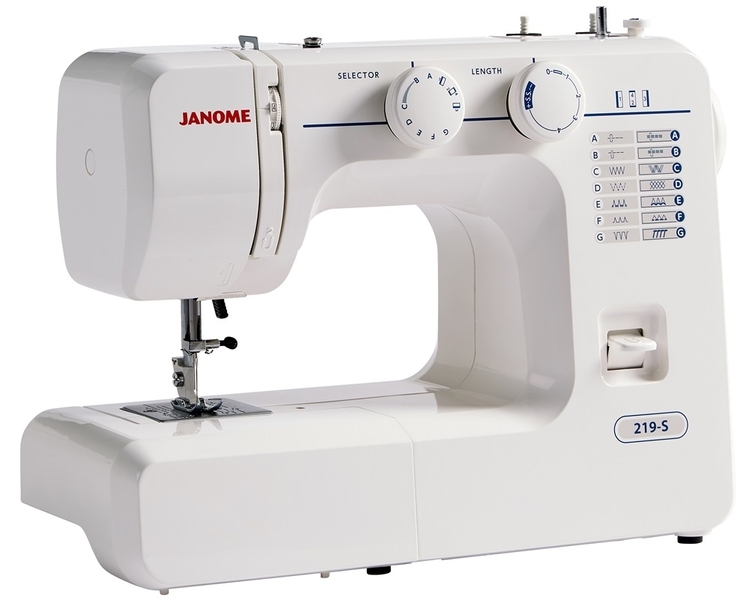 Janome 230DC Computerised Sewing Machine. Plus Extra Wide Table Included. 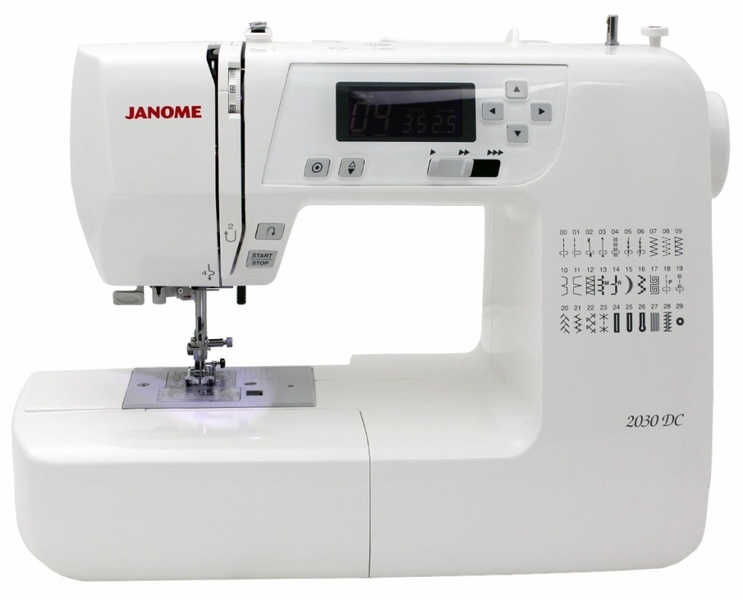 This Janome 230DC I purchased earlier this year and I use it several times each week. It is extremely reliable and dependable. I have had no problems with it at all. The quality of the stitches are very good. It has 30 choices of stitch which is more than sufficient. I have sewed a quilt, clothing, and home décor items. I have used it on canvas and denim and it handled well. I've done free motion embroidery and free motion quilting with it too. It is quiet and smooth to sew with. The feet are easy to change - snap on and off and they are not expansive as other brands - about £15 each. it is quite light in weight which means it does move around when I use it for quilting but I use a non-stick mat underneath when quilting which helps. On the plus side it is very portable being so light. I love the needle down and up button which means you can set the needle to always be in the down position - great when you are doing corners or for appliqué. 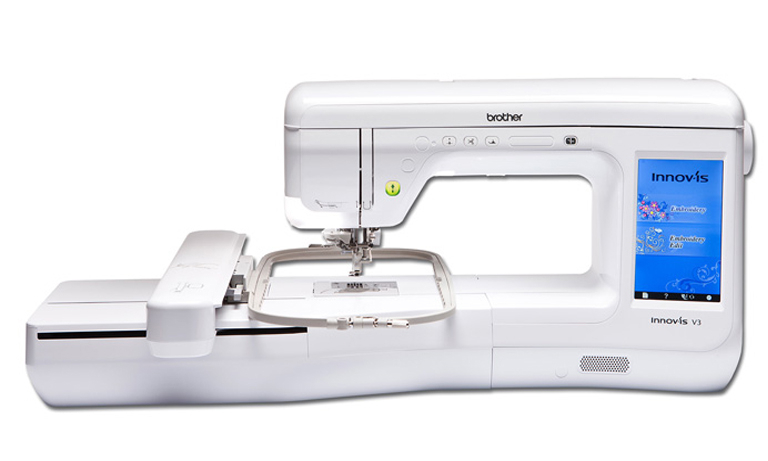 It has an auto tie off stitch which means it will automatically lock your stitches at the beginning and end of a seam. The bobbin is very accessible and visible. Overall I have been very impressed with this machine and it is an absolute pleasure to use! 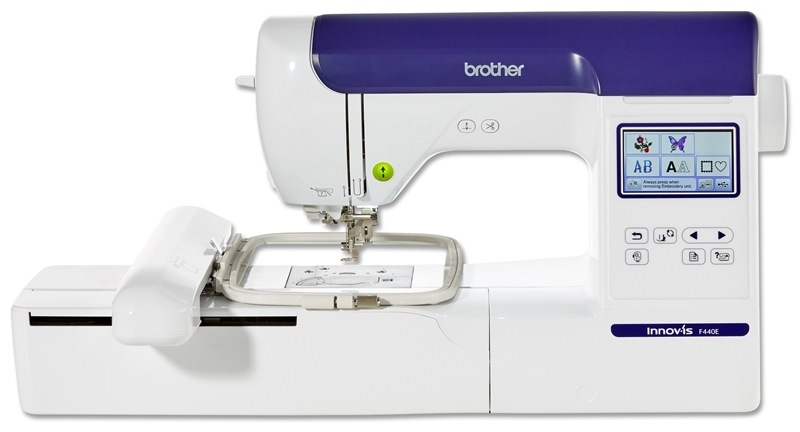 I originally bought a Brother sewing machine, and it was very good, but I ideally wanted one that was more robust. I decided on a different brand, but that was front loading bobbing, and that was a nightmare for me. This is the machine for me. Top loading easy load bobbin. Automatic back stitch lovely movement and quite quiet. 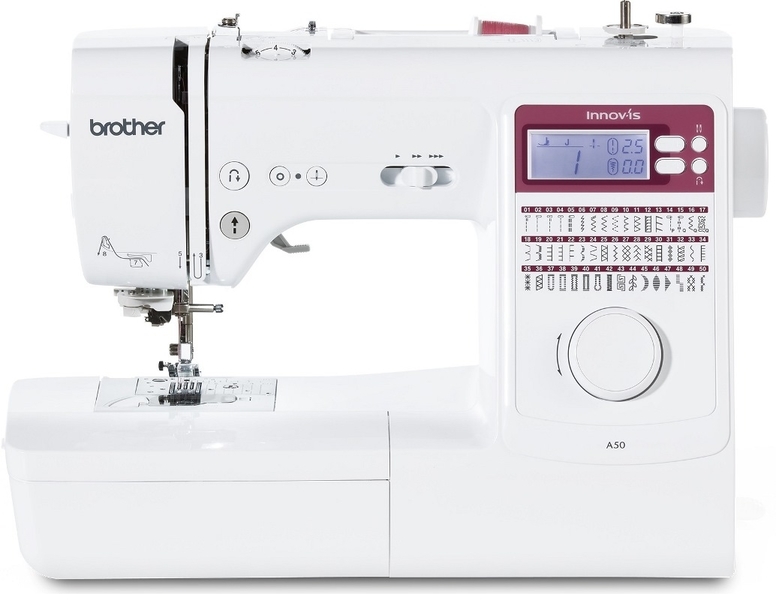 Very good beginner's sewing machine. 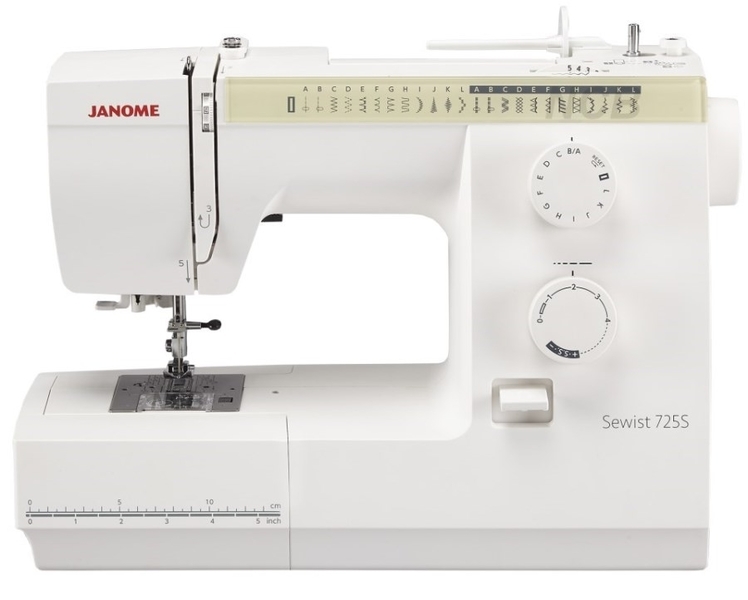 Janome 725S Sewing Machine. Great British Sewing Bee Model. Normally £299, Save £40. I am very pleased with this sewing machine. The quality of the stitching is lovely and it's easy to use. I have already tried quite a few new techniques with it. Easy to use from the box, even if, like me you are no sewing expert. It made light work of patching/darning two pairs of denim jeans and repairing the edge on a few towels. Given the price of my local dry cleaners, it has almost paid for itself on these jobs alone. It feels sturdy, but is not over heavy, it's quick to set up and put away and has enough features to keep me occupied for years! 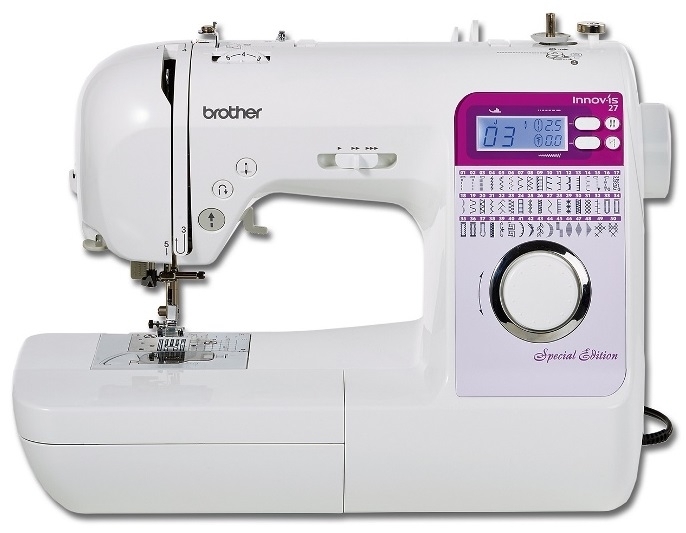 This is a sturdy and robust sewing machine which is basic technology wise but works very well. I bought it to go alongside a more temperamental computerised machine and the two complement each other very well. Heavy Duty at it's best. Many layers of canvas is no problem. Very nice machine. I’ve not tried all the stitch options, but it’s so much easier and quieter to use than my previous Janome machine. Already made one patchwork cushion. Janome hd2200 arrived next day via DPD Next Day. The outer packaging was much too big and was in a poor state which seemed to have caused some damage to the inner Janome packaging which was loose inside the main outer. Fortunately the Janome inner styrene foam protected the sewing machine which operated very well without any apparent malfunction. Overall an excellent machine. I tried all the major functions; buttonholing, button sewing, over edging,etc.. and I was particularly impressed with the needle threading facility. Well pleased ! !